I’ve just come back from the Dota Pit LAN finals in Split, Croatia, where I had the chance to sit down with Omar “w33” Aliwi for an interview. I’ve known Omar since before he became a popular Dota player. 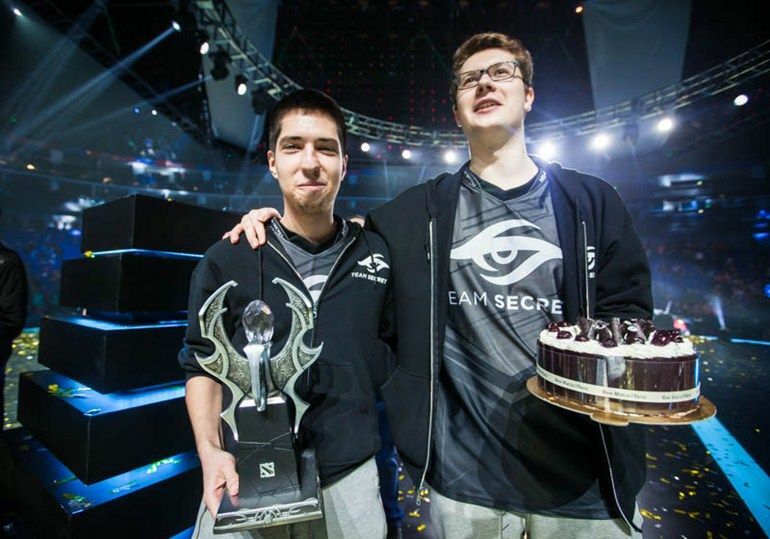 He promised me this interview when he joined Team Secret. We never got around to doing it and kept rescheduling for months on end. We barely found enough time for it in Croatia, as well. Little did I know that last Sunday, in Croatia, I had my last chance to interview w33 as a member of Team Secret. I took it. 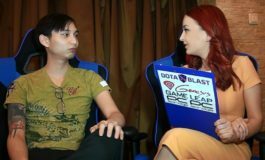 The w33 interview was conducted by Andra Ciubotaru on March 20, during the Dota Pit LAN finals in Split, Croatia. Both video and transcript versions of the interview are available below. When you’re at a LAN event and you’re lucky enough to have access to the players’ area and even stay at the same hotel with them, you can’t help but give them the eagle eye and scrutinize their interactions. It’s difficult, almost impossible to scratch the surface and make out what’s really happening between them. Check it out, pieliedie seems miserable. He’s going to get kicked, for sure. They’re not kicking w33. Puppey is always very protective of him. He’s just asked him if he wants to grab a bite. MiSeRy has spent the last two hours alone on the terrace. It’s certainly not looking good for him. 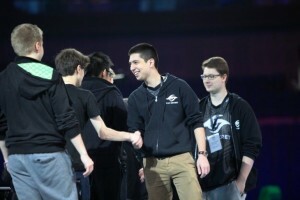 Puppey and Arteezy have just bumped into each other in the hotel lobby. They didn’t even make eye contact, let alone greet each other. There’s definitely bad blood between them. 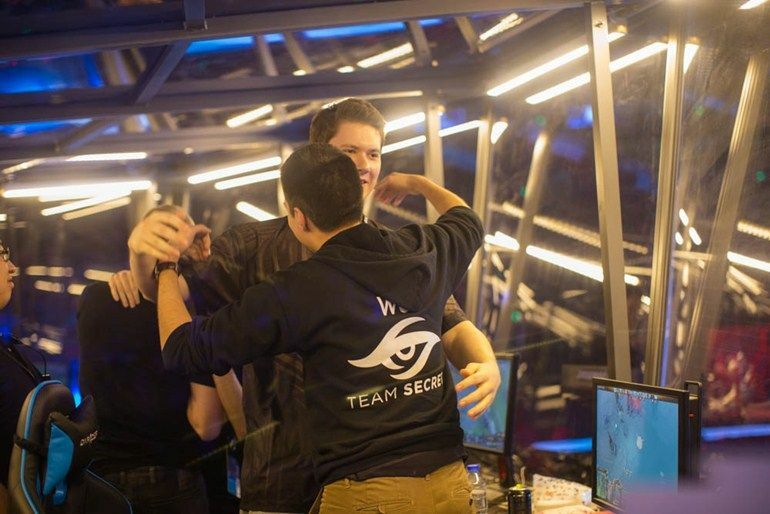 Team Secret’s roster changes took w33 by surprise, no doubt about it. However, I hope he can find it in him to pick up the pieces and join a strong team in the four days left before the rosters become locked for the Manila Major and The International 6. He has gotten where he is now through a lot of hard work. All he needs now to continue his rise is a stroke of luck. DotaBlast: Hi, Omar! How’s it going? Omar “w33” Aliwi: I’m a little bit off, but it’s fine. DotaBlast: You lost to Natus Vincere. What went wrong? Omar “w33” Aliwi: A lot of things went wrong. I don’t want to go into details. I think most of it was the delay. We should have played at like 3 pm. We woke up at 7 am just to play a couple of scrims before and warm up, and then we had all that free time when we did nothing, just waited for the game to start, pretty much. It took a toll on us, we were very tired. When we got into the booth, those lights were extremely bright. We had to turn them off, because we couldn’t play. We were sitting in front of the PCs and those lights were right into our eyes. It was distracting. We had to turn them off. We started at 11 pm, at night. I felt like I was staying at home at like 4 am, playing Dota, tired and dead inside. DotaBlast: People are speculating that you came here after winning the Shanghai Major and that you didn’t care that much about this tournament. Omar “w33” Aliwi: It’s not true. We did care. DotaBlast: I saw your teammates, they were pretty bummed out. Omar “w33” Aliwi: Yes, I think everyone was bummed out. That’s the plan, that’s why this team was formed: to win pretty much every tournament. 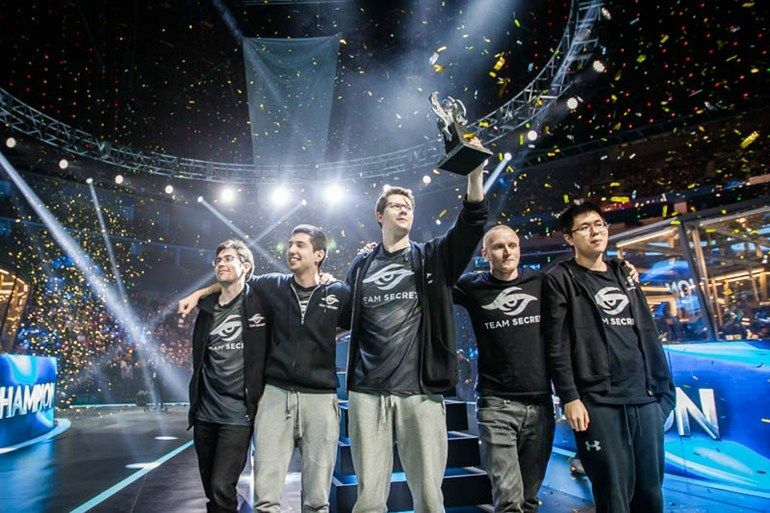 DotaBlast: You’ve just won the Shanghai Major. What are your plans for the spring season and the Manila Major? Omar “w33” Aliwi: Obviously, winning that one as well. That’s the plan, that’s why this team was formed: to win pretty much every tournament. DotaBlast: Next stop would be EPICENTER Moscow for you. Any expectations for that? Omar “w33” Aliwi: I can’t really say. Tournaments are always something unexpected. Any team can win, so you never know for sure if you’re going to do well or not. Maybe other teams have more practice. You never know what’s going to happen. Maybe the new patch is gonna come. Nobody knows. DotaBlast: I talked to you earlier and you mentioned that of course your biggest goal as a team is winning The International 6. Omar “w33” Aliwi: Yes, that’s why we were formed, that’s the main reason. DotaBlast: Speaking about the team’s formation, it’s actually a quite interesting story, the story of how you got invited into Team Secret. You were in Abu Dhabi. Omar “w33” Aliwi: Yes, I was in Abu Dhabi. Some people invited me there through Twitch messages. DotaBlast: You were a popular streamer. Omar “w33” Aliwi: Yeah, pretty much. And I decided to give it a shot. I’m the kind of guy who wants to enjoy life. The entire time I thought maybe they wanted to kidnap me, but that’s life. So I just took a shot. DotaBlast: You went with the flow. Omar “w33” Aliwi: Yeah, I went with it. So, I got to the airport, feeling both scared and excited, not knowing what to expect, and then I met these guys, they were good guys, we talked and we agreed on a lot of stuff. DotaBlast: They basically just wanted to meet you. Omar “w33” Aliwi: Yes, they just wanted to meet me, that’s it. Two weeks into being there, we were playing – we had a LAN setup in the room – and I checked my Skype. I saw EternalEnvy added me and I accepted him. Not even one minute later he called me. These four guys were around me and they were looking at me, asking me what was happening. “EternalEnvy is calling me. I probably should answer this.” And they all shut up and stood there looking at me. 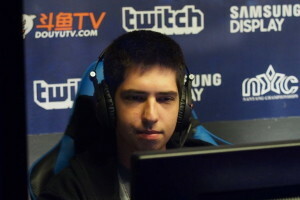 I was talking to EternalEnvy, he was asking me a lot of questions and those people were watching. I was like: “Guys, can I have some privacy?” They’re very good friends to me now. DotaBlast: So, basically Envy interviewed you for the job. Omar “w33” Aliwi: Yes, pretty much. EternalEnvy basically asked me what my goal was in Dota, why I started to play, what I was trying to achieve, if I thought I was prepared to join a big team. DotaBlast: Asking what kind of questions? Where do you see yourself in five years? Omar “w33” Aliwi: That’s a classic! EternalEnvy basically asked me what my goal was in Dota, why I started to play, what I was trying to achieve, if I thought I was prepared to join a big team. I’ll try as hard as I can for as long as I can to win The International. That’s it, that’s my goal: winning TI. DotaBlast: Do you remember what you told him? Omar “w33” Aliwi: I told him I’m the biggest tryhard ever, I don’t care what people say about my playstyle. If people say bad things about me, I take it as good criticism, I want to use it and I’ll try as hard as I can for as long as I can to win The International. That’s it, that’s my goal: winning TI. DotaBlast: And that convinced Envy, obviously. Omar “w33” Aliwi: Yes, I think so. I was dying to know. Am I in, am I not in? This is what I wanted, this is why I started playing. I couldn’t take it anymore. I couldn’t even sleep that night. I had a very rough time sleeping that night. DotaBlast: And then you remained in Abu Dhabi for a week or so. Omar “w33” Aliwi: Yes, one or two weeks. But when he ended the interview, he didn’t tell me anything. He said: “I’m gonna consult with my team and I’ll tell you what’s gonna happen” – something like that. I was dying to know. Am I in, am I not in? DotaBlast: Did he take long to give you a final answer? Omar “w33” Aliwi: He took like one day. Omar “w33” Aliwi: Yes, but I was dying. This is what I wanted, this is why I started playing. I couldn’t take it anymore. I couldn’t even sleep that night. I had a very rough time sleeping that night. DotaBlast: You worked quite a lot to get where you are now. People think you just went from top MMR player to Secret just like that, over night. But that’s not what happened. You started playing when you were very young – you’re still very young, but you were basically a kid when you first started playing. Omar “w33” Aliwi: I was about 8-9 years old, but back then it was all a distraction. I didn’t enjoy school that much. I had a lot of friends, I had a good time in school, but I preferred playing. The feeling it gave me was just better. I just liked playing computer games, especially Counter-Strike. I started playing Counter-Strike for about one-two years and I couldn’t stop, I used to play it every day. And then some guys were playing Dota when I was at the LAN cafe I think three or four times a week all day, when I was not at school. I saw a lot of people playing Dota. Everyone was playing a lot of Dota, constantly. DotaBlast: Was there someone in particular who introduced you to the game and guided you at the beginning? Omar “w33” Aliwi: Yes, but I don’t even remember who he was. A few guys I met there at the LAN cafe. I used to see them every day, so of course I got to know them and they got to know me. I was playing Counter-Strike and I was wondering why they kept playing Dota. I thought the game looked so bad. DotaBlast: At that point you were about 10 or 11 years old, right? Omar “w33” Aliwi: Yes, something like that. I was playing Counter-Strike and I was wondering why they kept playing Dota. I thought the game looked so bad. “Why are you playing this? This game is so bad! Come play Counter-Strike. I want to play with someone, let’s go!” And everyone was like: “Nah, I’m gonna play Dota!” So, I decided to give it a shot and I started playing. 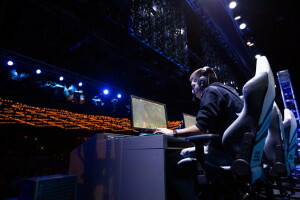 I entered my first game with my brother – I used to go to the LAN cafe with my brother most of the time. 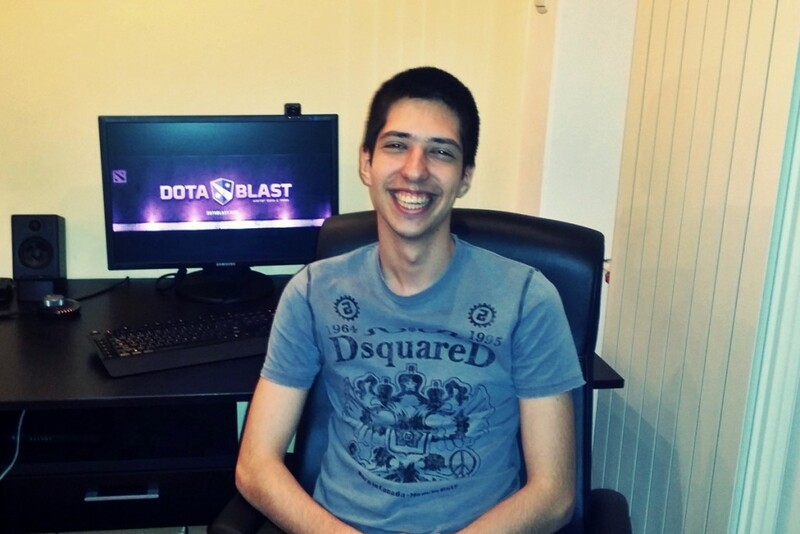 We were both there in our first game of Dota with this guy who introduced us to it. This guy told us to buy Power Treads Recipe and sell it, because we would get more money. We both did that until we lost a lot of money. Then the game started and we started playing. I thought: “Yeah, this could be a nice game!” And then I gave the campaign a shot – the Warcraft III Frozen Throne campaign. I enjoyed it a lot and I played it again and again, until I finished it. Then I just started playing Dota. I found out about Battlenet when you could play against other players online, and I was able to play from home as well, because I had the game at that point. I haven’t stopped playing ever since. DotaBlast: I met you in 2013, I think, at a DreamHack Bucharest. Omar “w33” Aliwi: Yeah, I think so. DotaBlast: And you were there competing in a 1v1 tournament. You ended up placing third? Omar “w33” Aliwi: I think I was second, I lost against Lyon. DotaBlast: And then you ended up playing with Lyon on the same team – in Team Cede Nullis (TCN) – but before that you actually made your debut on Balkan Bears, right? Omar “w33” Aliwi: Yes, it was a Romanian team which didn’t really work out that well. I had to leave that team which ended up disbanding, and I joined TCN, playing with Lyon. I played offlane. DotaBlast: You played for TCN during the first season of Dota Pit and they ended up winning it. It was a $5,000 total prize pool. Omar “w33” Aliwi: Yes, that’s right. TCN didn’t really work out for me, because I was playing offlane. Not being able to do as much as I wanted to, I ended up dying most of the time, trying to kill supports and the carry, which obviously doesn’t work when you’re one versus three. So, I got kicked out of TCN and I ended up joining Balkan Bears again. 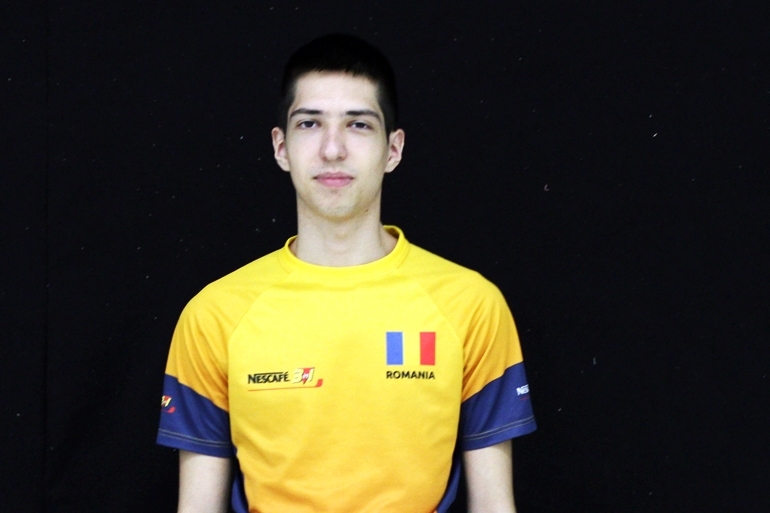 I joined the Romanian squad and ended up merging with the international squad. 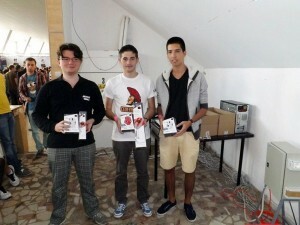 It was called Balkan Bears Corleone and it was the first team I qualified for a LAN event with. DotaBlast: You’re talking about MLG Columbus. Omar “w33” Aliwi: Yes, MLG Columbus. We got 5th place out of six teams. DotaBlast: That’s not bad for your first LAN. Omar “w33” Aliwi: We won one single game which was against Not Today, a Peruvian team. DotaBlast: They were really jet-lagged and they had missed their flight. There was a lot of drama. Omar “w33” Aliwi: That’s right. We definitely had a good time as a team. We always had very strong relationships between us. We used to play a lot of pubs together. We were all five pub players, pub stars – high MMR pub players. We always knew each other, even before we formed the team. We really had a good time at MLG Columbus, but I didn’t like the way it was going, so I left Balkan Bears Corleone for Team Tinker?! DotaBlast: You didn’t play for Team Tinker, though. Omar “w33” Aliwi: No, no, it was Meepwn’d: me, pieliedie, H4nn1, Fly and one more guy. I can’t remember. I think we won one or two small tournaments, but I didn’t like where that was going either. I rejoined Balkan Bears Corleone. DotaBlast: That’s a complicated path you’ve had with all those teams! Omar “w33” Aliwi: It was a bit better at that point, but after losing a lot of tournaments, I realized it’s not a good idea. I had to leave again and join my last team before Team Secret, which was 4 Clovers & Lepricon. It was Bamboe, me, EGM, and two other guys. Ah, I don’t remember. My memory is not that good. And then Team Secret happened. I was a high MMR player, or I used to be for at least one or two years in top 5, I was always around there. When I dropped, I was either playing too much competitively or I just didn’t care enough, I wasn’t motivated enough to keep going. But when I was trying hard, I was always in top 5, especially on the first two places. DotaBlast: The fact that you were topping the MMR leaderboards played a big part in getting you noticed. And climbing the MMR ladder also took a lot of work. Omar “w33” Aliwi: It took a lot of dedication and time. That was my goal. When I started streaming, of course I had no viewers – no one has viewers at first, unless they are already well known. I was a high MMR player, or I used to be for at least one or two years in top 5, I was always around there. When I dropped, I was either playing too much competitively or I just didn’t care enough, I wasn’t motivated enough to keep going. But when I was trying hard, I was always in top 5, especially on the first two places. That was my goal, that’s why I got a lot of stream viewers. The fact that I was playing Meepo, as well, that helped me a lot in getting these viewers. They liked it. DotaBlast: Remember the interview we did last year? I believe it was right after you came back from MLG Columbus. We talked about the Dota community. You were getting a lot of hate back then. DotaBlast: Now you’re, of course, extremely successful with Team Secret and things have changed, dramatically. Omar “w33” Aliwi: I’ve noticed that. I’m not sure why exactly, but I would say it’s just because people who knew what happened never cared enough – it’s not something you have to care about, it’s not that big of a deal – and the other people just joined in for fun and just wanted to have some drama. DotaBlast: They wanted to hop on the hate train. Omar “w33” Aliwi: Exactly. And then they went to the next thing, and the next thing, and the next thing. It definitely has a good feeling to it, when you know that people recognize you on the street. DotaBlast: How does it feel to get stopped in line at McDonald’s – that literally just happened an hour ago – for pictures and autographs? Omar “w33” Aliwi: I feel kind of embarrassed, because that’s just me, that’s my nature. It definitely has a good feeling to it, when you know that people recognize you on the street. It’s a pretty good feeling knowing that so many people watch Dota and actually follow the players and teams. DotaBlast: That happens a lot in Romania, doesn’t it? Omar “w33” Aliwi: Yes, it does. Especially in Bucharest. DotaBlast: You’re a big star back home. Omar “w33” Aliwi: Not really that big, but yeah, it happens. DotaBlast: You’re pretty big! You used to train as a soccer player, right? Omar “w33” Aliwi: Yes. I always liked competition, I always liked playing sports and video games. I was always into this. I never wanted to just sit and study. It wasn’t for me. I didn’t enjoy studying, reading and learning mechanically – because that’s what school asks of you, basically. They only want you to learn some stuff mechanically, so that you can repeat and get good grades. DotaBlast: Yes, at least that’s the Romanian system. Omar “w33” Aliwi: Right. That’s the Romanian system, that’s my experience. DotaBlast: Your dad used to be a soccer coach, right? Omar “w33” Aliwi: Not a coach, he was a professional football player in his hometown. He played for the Syrian national team. DotaBlast: And then he came to Romania. DotaBlast: You’ve studied Chemical Engineering. DotaBlast: And you dropped out of University. Omar “w33” Aliwi: I didn’t drop out. I froze my year. That’s what they do in Romania. DotaBlast: How many years ago? Omar “w33” Aliwi: (laughs) Two and a half years ago? DotaBlast: Is it still frozen? Omar “w33” Aliwi: Yes, it’s still frozen. Yeah, it was two years ago, because I finished highschool when I was 18. One thing I know for sure in my life is that I want a degree. It doesn’t matter when – probably after I retire and I’m happy with how my life is going, I want to get a degree in something I like. DotaBlast: Are you planning on going back to Uni? Omar “w33” Aliwi: Yes, that’s for sure. One thing I know for sure in my life is that I want a degree. It doesn’t matter when – probably after I retire and I’m happy with how my life is going, I want to get a degree in something I like. DotaBlast: Something else or still Chemical Engineering? Omar “w33” Aliwi: It’s most likely going to be something else. Chemical Engineering is not what I expected, it was a bad experience. DotaBlast: Do you have any idea of what you would like to study? Omar “w33” Aliwi: I’m not sure. I was thinking IT, I don’t know, maybe learn how to develop games. I’m not sure right now, it’s just a thought. DotaBlast: Okay, we’ll see. Thank you so much for your time, best of luck in the future! Omar “w33” Aliwi: Thank you! Omar “w33” Aliwi: Not really. Shoutout to all my fans who still believe in me! Yeah, that’s it. Great interview, too bad he got kicked from Secret. The secret is out boys. AND NOW I THINK, SECRET PLAN IS NOT REAL..